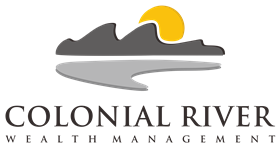 A native to the investment industry, Alan Dawkins joins Colonial River Wealth Management with 19 years of advising clients on asset accumulation, education planning, retirement planning and estate planning strategies. Alan places high importance in the role he takes with his clients as an educator, providing solutions that strive towards their financial goals. This has always had high emphasis for Alan, the son of school teachers and grandson of a former Morehouse College president, with high regard to education. 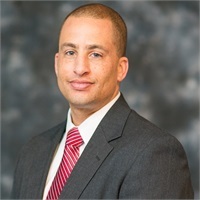 Alan was born and raised in Hampton Roads and graduated from The College of William & Mary in 1997. Alan has obtained several professional registrations including FINRA Series 6 and 7 General Representation Registrations, the Series 63 Uniformed Securities Agent held with LPL Financial and the Series 65 Uniform Investment Advisor Law Examination. He also holds a Life, Annuity and Variable Contracts insurance license with the State of Virginia. Personally, Alan earned the prestigious Eagle Scout honor where he learned the importance to serve his community, and serves on the board of directors for Habitat for Humanity Peninsula and Greater Williamsburg. Alan is an avid soccer fan, as well as a former competitive cyclist and two-time finisher of Ironman distance triathlons. Alan and his wife Christine have two children, Morgan and Wesley.